I am always concerned when I read that someone has fallen away from his professed faith, especially someone who has fallen victim to someone else’s propaganda, lies, and/or misrepresentations. As I outline in the following reply to Jayse, this victimization can be avoided by asking some simple, yet critical, questions, followed by discerning research of reputable sources. 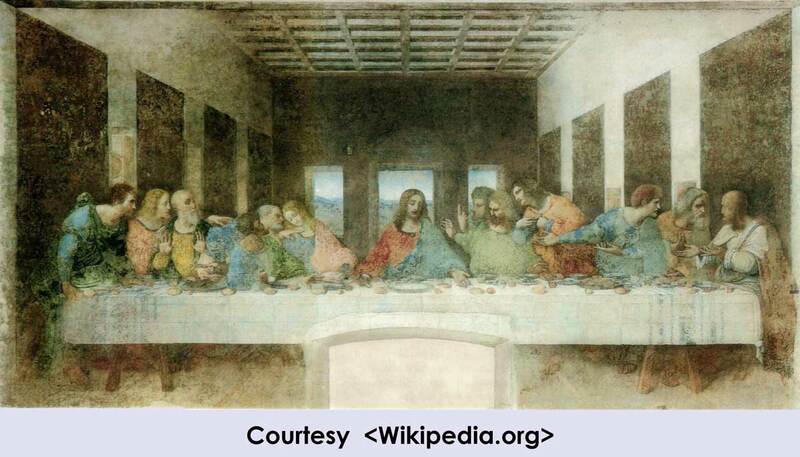 The Last Supper, by Leonardo da Vinci in 1495–97 (click on image to see larget version). Like thousands of other Americans I recently read Dan Brown’s The Da Vinci Code. I thought that the story in itself was great, but what really fascinated me was the controversial information he presented about Jesus, the Bible, and Christianity itself. Although I was baptized as a Methodist, at the time I was reading the book I was questioning my faith, and Brown’s book compelled me to do more research on the information he presented. What I found was astounding. After reading several more books on the topic and viewing some of the artwork in question I was, and still am, convinced of the information that Brown, along with several others, have presented. Because of these new findings, along with other things that are irrelevant for this letter, I have since denounced my faith in the Christian following and am currently atheist. I do not mean this letter to be in any way insulting to anyone or anything, as I feel that each and every person on Earth should be able to believe in whatever they want, but I do have some questions, both about your review of the book, and other things concerning Christianity that I would like to see explained. First of all, what right do you have to call Dan Brown “the enemy of god” and a liar, just because he wrote a book that you do not agree with? If you are so sure of your faith, and do not believe that as many people have read the book as Brown claims, why are you wasting your breath not only complaining, but wasting your time writing reviews to try and discredit both Brown and his book? Secondly, the way you defended your stance on the accuracy and authenticity of the Bible was, in short, laughable. You can’t take passages FROM the Bible to try and prove that it hasn’t been butchered and changed throughout the centuries. And yes, Emperor Constantine DID in fact compose the modern day version of the Bible, and yes, there were gospels that were not included due to their contrasting messages and text. Argue this point all you like, but that does not make it less true. (If you would like to learn about the lost gospels, please take the time to search for either “Gnostic Gospels” or “The Nag Hammadi Library”. And no, you may not pull passages from the Bible on this one.) I hope who ever wrote the review in question will read this letter with an open mind, and know that I am not in any was trying to be offensive. Please feel free to respond at <email address deleted>. My name is Jayse and I am 18 years old. Thank You. Like thousands of other Americans I recently read Dan Brown’s The Da Vinci Code. I thought that the story in itself was great, but what really fascinated me was the controversial information he presented about Jesus, the Bible, and Christianity itself. Learning history from Prof. Langdon is rather like trying to learn physics from Star Trek’s Mr Spock and thinking you know better than real physicists. Note Brown’s use of sleight-of-hand wording here. The issue is not whether ‘documents, rituals, organization, artwork, and architecture’ exist, but rather whether the purported claims about the ‘documents, rituals, organization, artwork, and architecture’ are accurate. ‘The “FACT” page makes no statement whatsoever about any of the ancient theories discussed by fictional characters. Interpreting those ideas is left to the reader’. The previous vague wording and this further disclaimer allow Brown’s fictional characters to spout any sort of prattle, while Brown absolves himself of any accountability to accuracy. Who is the author? What is their background? What is the author’s intent in writing? Who is the author’s audience? What genre is the writing (i.e. fiction, nonfiction, reference)? If there are claims made that materials in a fictional writing are factual, are these claims properly cited and supported by evidence? What issue is being addressed? What evidence is used to support the claim(s)? Has anyone else rebutted some or all of the claims? Is the evidence presented in the rebuttal reputable? So ‘Whom do I trust?’ is the honest question to ask yourself at this point. Do you trust The Da Vinci Code, a fictional novel by the author’s admission? Or the Word of God, that has withstood thousands of years of critical examination? It’s a shame that you try to learn history from Prof. Langdon (the main character of The Da Vinci Code)—rather like trying to learn physics from Star Trek’s Mr Spock and thinking you know better than real physicists. 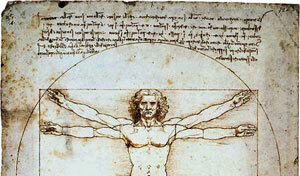 Why not learn from a real scholar like Dr Darrell Bock (Breaking the Da Vinci Code)? Although I was baptized as a Methodist, at the time I was reading the book I was questioning my faith, and Brown’s book compelled me to do more research on the information he presented. What research did you conduct? Are you, for example, able to refute the many errors that the author made without handwaving or appealing to some non-existent conspiracy? Moreover, do you understand the difference between primary, secondary, and tertiary sources? Primary sources are comprised of original materials contemporary to the time period involved. These can include original legal documents, personal interviews, photographs, diaries, original letters, and written statements of eyewitness accounts. Secondary sources are comprised of commentaries, evaluations, and interpretations of primary sources with the benefit of hindsight. These are usually not contemporary works, and can include biographies, journal articles, and other works of secondary literature. Tertiary sources are a compilation of information from both primary and secondary sources. These would include encyclopedias, dictionaries, almanacs, and fact books. What I found was astounding. After reading several more books on the topic and viewing some of the artwork in question I was, and still am, convinced of the information that Brown, along with several others, have presented. One of my favorite artists is M.C. Escher. Escher’s artwork is filled with illusions which fool the eye because the brain’s perception is thrown off by the angles in the imagery. This is because the eye does not work by itself; it needs the brain to interpret what it is seeing. While Escher’s work fools the eye and the mind by design, other illusions can be ‘forced’ on the viewer by sleight-of-hand (which is how magicians make a living) or by the power of suggestion. When someone, either by deception or confusion, suggests that there is ‘more there than meets the eye’, the power of suggestion can sometimes cause someone else to ‘see’ the same thing. This power of suggestion also works with hearing and with comprehension. This is how urban legends form, and how people are brainwashed. The authors of Holy Blood, Holy Grail used fraudulent documents in their research. Convicted con-artist Pièrre Plantard testified under oath in 1993 that he had made up the Priory of Sion documents (as well as others proclaiming himself the ‘true’ king of France). Instead of acknowledging that his work is shoddy, Brown chooses to ignore the evidence, sitting comfortably behind his novel’s fictional categorization and responsibility-absolving disclaimers, and continues to rake in profits from the book that is duping people like you into giving up your eternal soul. When someone is struggling with their faith, whether from a family situation, anger over the death of a loved one, or from merely watching too many reruns of the X-files on television, they are more impressionable towards outside sources. There are unscrupulous people who will feed off those insecurities and struggles, causing a person to be even more confused than they were to begin with. Man’s corruption through his sinful nature and his attempts to deny God, coupled with seemingly plausible claims, can factor in a person’s apostasy. It is unfortunate that there are many who turn away from, rather than toward, the only source of complete truth, God and His Word, for answers. It must be reiterated that even if Brown was correct in his assessment of Leonardo da Vinci’s art, it would be proof only of Leonardo’s artistic license, not proof of biblical and/or historical fact. Foghorn Leghorn is not a real rooster because McKimson drew him with rooster-like characteristics, and Popeye never sailed the seven seas, regardless of the sailor’s uniform that Segar drew him wearing. Both of these, like Brown’s book, are works of fiction. However, the aforementioned critique cites why Brown’s work is faulty even in this area. … but I do have some questions, both about your review of the book, and other things concerning Christianity that I would like to see explained. First of all, what right do you have to call Dan Brown “the enemy of god” and a liar, just because he wrote a book that you do not agree with? You state that you ‘feel that each and every person on Earth should be able to believe in whatever they want’ (moral relativism), then you ask ‘what right do you have?’ But if everyone, in your viewpoint, is entitled to believe whatever they want, what right do you have to interfere by attempting to persuade them toward your beliefs? You preach moral relativism, yet contradict yourself in the very next sentence. In the article you question, Brown was not called ‘the enemy of god [sic]’ or a liar. However, a case can be made for both of those labels. In a 9 June 2003 interview on Today, Brown agreed that he wanted to ‘challenge certain long-held beliefs or truths about religion’. And while Brown’s incompetent research skills do not make him a liar, his failure to recant his ill-formed conspiracy theories in the face of glaring evidence to the contrary does indicate deliberate deception. Perhaps this is because he does not see the necessity of recanting his claims from something he calls ‘a work of fiction’? The importance of using primary sources is further born out by the conclusive proof that the authors of Holy Blood, Holy Grail used fraudulent documents in their research. Convicted con-artist Pièrre Plantard testified under oath in 1993 that he had made up the Priory of Sion documents (as well as others proclaiming himself the ‘true’ king of France). Instead of acknowledging that his work is shoddy, Brown chooses to ignore the evidence, sitting comfortably behind his novel’s fictional categorization and responsibility-absolving disclaimers, and continues to rake in profits from the book that is duping people like you into giving up your eternal soul. Even if this were the only lie, it would be sufficient to prove that the claims in The Da Vinci Code are, at the very least, suspect. But as we’ve previously shown, there are enough errors that support that this work of fiction was poorly researched and should not be used as a determining factor in theological study. If you are so sure of your faith, and do not believe that as many people have read the book as Brown claims, why are you wasting your breath not only complaining, but wasting your time writing reviews to try and discredit both Brown and his book? Truth always discredits falsehood. Being sure of our faith actually enforces our responsibility as Christians to assist those who are struggling to maintain their own faith, or preventing others from being misled by tripe. You have already given yourself as an example of someone who needs support, and evidenced by the fact that you contacted us, you seem to be crying out for help in the midst of your confusion. If we can disabuse you of your emotional reaction to Brown’s fictional novel by pointing out its erroneous assertions and illogical conclusions, then ‘wasting my breath’ is not a waste at all. Secondly, the way you defended your stance on the accuracy and authenticity of the Bible was, in short, laughable. You can’t take passages FROM the Bible to try and prove that it hasn’t been butchered and changed throughout the centuries. Jayse, what if someone asked you to prove the answer to a mathematical equation—without using math? Wouldn’t that be laughable to you? Do you realize that the Bible, regardless of its common binding, is not one book, but rather a collection of books and letters? This is the main point of using passages from one book or letter to prove the accuracy of recordings in another book or letter. Your admonishment would be like illogically asserting that because information in a trial is presented in one courtroom, the testimony of one witness cannot be used to validate the testimony of another witness to the same event(s). Also, please see Agnostic asks whether biblical Christians commit circular reasoning. What this means is that there are supporting documents that show that there is no ‘butcher[ing] and chang[ing] throughout the centuries’. This is one reason that primary sources are so important. As Alex Williams pointed out, ‘the very abundance of similar ancient manuscripts points unerringly to similar original sources’. That means that there are thousands of manuscripts that support the authenticity of Scripture. Conversely, the onus is on you to prove butchering, by producing examples of the allegedly unbutchered originals. Likewise, just because fragments of something are found, does that make the content reliable? If some future archaeologist found three scraps from the book And to Think That I Saw It on Mulberry Street (Dr Seuss; New York: Vanguard, 1937), would it be reasonable to assume that the original book was an eyewitness account of real activities? Yellow journalism (e.g. supermarket tabloids) exists because people want to read it. Like the tabloids, Brown takes a bit of truth and mixes it into a whole heap of conjecture, mainly from unreliable secondary sources, to make lies sound plausible. Conversely, Scripture is supported by archaeological/historical evidence and fulfilled prophecy. Remember how Brown spoke about the existence of ‘documents, rituals, organization, artwork, and architecture’, and how I pointed out that existence does not determine accuracy? Note also how Brown lumps ‘documents’, objective evidence that can be validated for accuracy, into the mix with the ‘rituals, organization, artwork, and architecture’ which are subjective to the emotions of the participants. By doing this, Brown attempts to lessen the importance of documentary evidence. Existence of a document does not mean that the document is authentic, nor does it speak to the validity of the information that document contains. And yes, Emperor Constantine DID in fact compose the modern day version of the Bible, and yes, there were gospels that were not included due to their contrasting messages and text. Argue this point all you like, but that does not make it less true. Neither do your bald assertions make it true. We have shown proof (in the original article) that the Gospels existed as canon long before Constantine. Where is your opposing proof? Yelling in capital letter and using conversation-closing verbiage does not prove your point. What in particular would you like us to learn? You mean like the 2nd century forgery, Gospel of Thomas, that Brown’s ‘historian’ fails to mention? Perhaps you like its ending, which is ironic since Brown and many pushers of the Gnostic Gospels claim that they empower women? The Gospel of Thomas is a far cry from real Scripture that tells us that ‘there is neither male nor female; for you are all one in Christ Jesus. And if you belong to Christ, then you are Abraham’s offspring, heirs according to promise’ (Galatians 3:28–29). Differences in males and females should be honored and celebrated, but regardless of what Brown preaches in his novel, God has no gender bias. See also The history of the teaching of human female inferiority in Darwinism and my response to a critic, ‘Female inferiority’ raises questions [and Abortion: an indispensable right or violence against women?]. I hope who ever wrote the review in question will read this letter with an open mind, and know that I am not in any was trying to be offensive. Please feel free to respond at <email address removed>. My name is Jayse and I am 18 years old. Thank You. I hope that you also kept an ‘open mind’ while reading this reply; or at the very least, offered it the same courtesy that you gave Brown’s fiction. Please also consider these final thoughts and admonishments, given to not only resolve this issue in your mind, but to also prevent future confusions, especially where your eternal soul is concerned! Review the textual analysis questions, and learn to formulate your own. When receiving information that is obviously less than reliable, thoroughly check their research against reputable, primary resources. Look for theological answers in Scripture and reputable commentaries, not fictional novels! Evidence was also brought up in a lawsuit, brought by Lewis Perdue author of the novels Daughter of God and The Da Vinci Legacy, showing that Brown copied a significant error verbatim from Perdue’s novel. The issue here is not one of legal culpability (the court ruled that Brown had not infringed on Perdue’s copyright), but rather the issue is that Brown obviously also used Daughter of God and The Da Vinci Legacy as a secondary source. Return to text. Metzger, B., interviewed in Strobel, L., The Case for Christ, Zondervan, Grand Rapids, MI, 1998. Return to text.